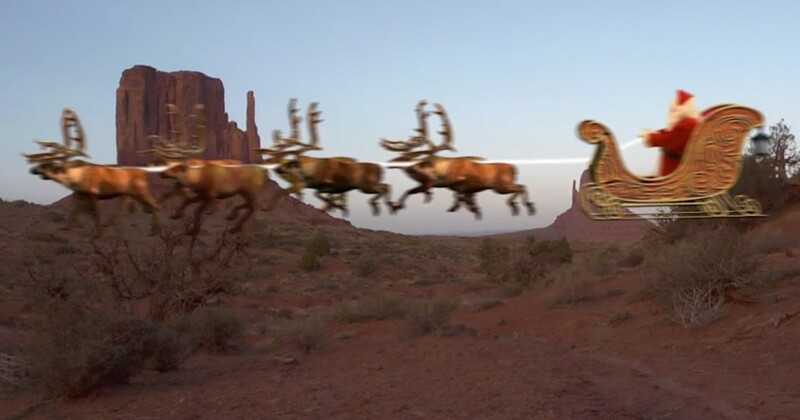 The world famous I Spot Santa video elf Nani spotted Santa Claus on a detour through Monument Valley in the desert of Arizona. These famous landmarks have been made famous by John Ford in John Wayne films, today it’s famous for Santa Claus! Monument Valley is home to many native American Indians of the Navajo decent, many Navajo Christmas cultures come from Mexican and Spanish decent. One of the meals Navajos make during the holiday season is a version of tacos made on a fry bed.